「夏のベストショット英訳しました」 パート3（旅行編）Instagram（インスタグラム）写真投稿キャンペーン より - GOTCHA! 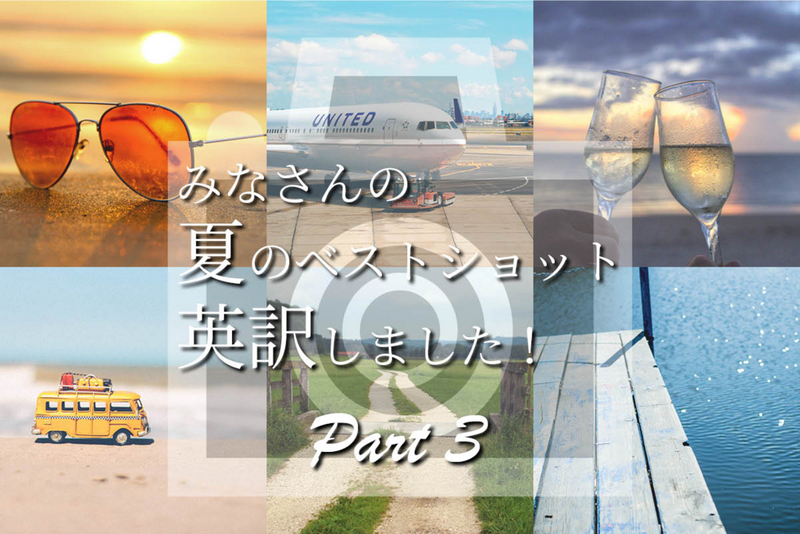 それでは Part 3 の「旅行編」へ、Have a great trip! Summer is all about the beach! I saw some hermit crabs! My dauther got so much sun that she now looks like a fried chicken. This may be another banal image. :p I enjoyed a conversation with the Little Prince. The red Ferris wheel against the blue sky looks great! I had a great time in Osaka!